Welcome to the RAF Bircham Newton Memorial Project website. The various pages of this site describe the distinguished history of the former west Norfolk airfield of Bircham Newton and its two World War II satellites at Docking and Langham. You will also find information about Sedgeford aerodrome, which was a sister airfield to Bircham Newton during WWI and one of its decoy sites during WW2. To move around the website, please use your mouse or other pointing device to access the drop down menus shown on the top left of each page. You can always return to this page by clicking on Home. You will find the Heritage Centre location and opening dates under the Heritage Centre drop down menu, where you will also find the latest news and information about the history of the project. 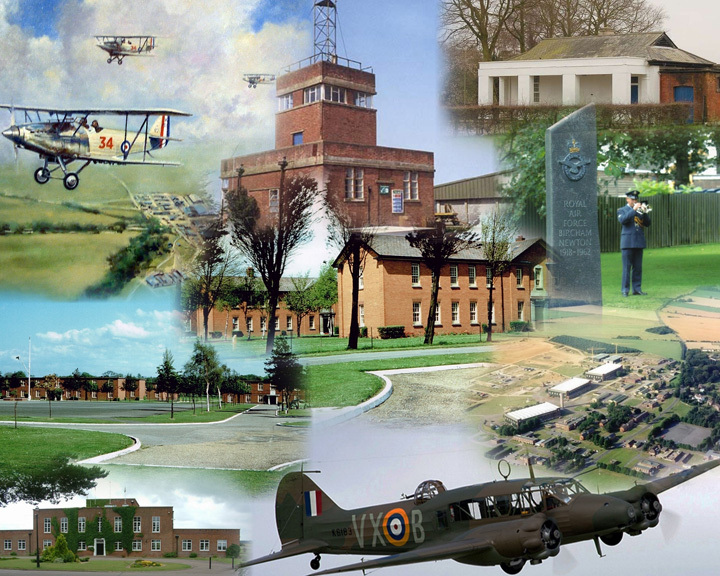 Use the RAF Stations drop down menu to discover more about the former airfields. Finally, to contact us, use the Contacts drop down menu. Some pages (but not this one) have links to additional information via an RAF roundel as shown below. To access this information, you click on the roundel with your mouse or other pointing device. © D. Jacklin 2017. This website is owned by the RAF Bircham Newton Memorial Project.